Posted on February 26, 2018 by AaronElWhite. 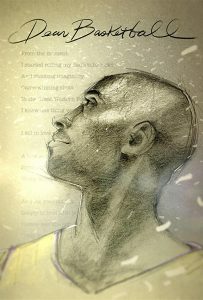 DEAR BASKETBALL: An animated telling of Kobe Bryant’s poem ‘Dear Basketball’. Aaron – Full disclosure: Kobe Bryant is my favorite basketball player of all-time. DEAR BASKETBALL highlights the passion that he played the game with, which is what inspired my fandom. Beautifully and uniquely animated, this brief love poem reminds me of the joy his career brought me and so many others. Patrick – This was the surprise favorite of the animated shorts for me. Of the five it had the most visceral reaction in that I connected with the duality of joy and sorrow that Kobe’s narration expressed. That, combined with the simplistic and beautiful sketched animation provided me with a personal connection that this love letter wanted to provide. Wonderfully made. 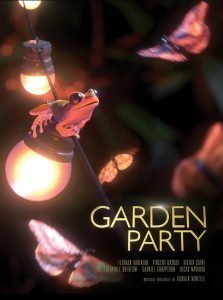 GARDEN PARTY: In a deserted rich house, a couple of amphibians explore their surroundings and follow their primal instincts. Aaron – “WOW!” “This looks like a Disney Nature documentary!” “This can’t be animation, can it! ?” All actual things that came out of my mouth in the first few minutes of this short. So colorful and alive. So funny, so adorable, so… dark. Captivating from start to finish. Patrick – I echo the sentiment of “WOW,” but for completely different reasons. I absolutely loved the slow reveal of this environment that these creatures were occupying. Two minutes in and I thought, “Wait, did I just see? Hold on.” What starts out as a simple amphibian hangout turns into something completely unexpected, and the last 10 seconds are the perfect exclamation point. 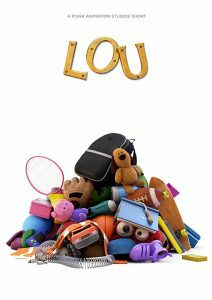 LOU: A Pixar short about a lost-and-found box and the unseen monster within. Aaron – Another sweet, bright-colored short from Pixar that offers up life lessons using a setting we can all relate to (recess on the playground at school). LOU moves fast, as does its title character in remaking itself into many interesting forms. Perhaps wonderfully animated emotional shorts by Pixar are something we take for granted now because despite being great this one just didn’t wow me or scream memorable. Patrick – Standard fare from the company that brought you everything else wonderful and fuzzy feeling. There’s nothing wrong with this animated short, but from someone who sees this type of story more often than not, the wow factor goes down. Worthy to be nominated but the weakest of the field due to its safe play storytelling. 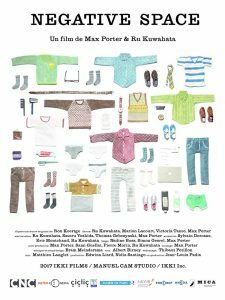 NEGATIVE SPACE: Even though Sam’s father is hardly ever home because he is often away on business trips, he is able to connect with his son by teaching him how to pack a suitcase. 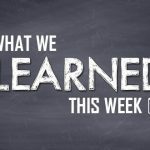 Aaron – Incredibly poignant story about a man remembering his father through a specific activity they shared together. Not only is this fantastic stop-motion animation work, but the adaptation of Ron Koertege’s poem packs an emotional punch, as well.  The film’s final line is particularly powerful and will leave a lasting impression. Patrick – I love weird stuff, and when you can take something as ordinary as packing a suitcase and attaching a father/son relationship to it, that’s money in the bank for me. Thank you for being original :). 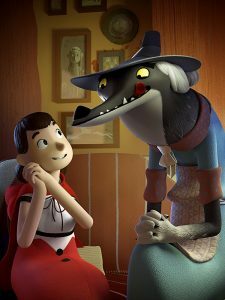 REVOLTING RHYMES: Two half-hour animated films based on the much-loved rhymes written by Roald Dahl and illustrated by Quentin Blake. Aaron – Too long and only decently animated, but Roald Dahl’s witty words feel right at home coming out of cartoon characters (especially the rather excellent Wolf). It’s an interesting enough story with some dry humor but forgettable in most every way and easily the weakest of the nominees. Patrick – The length of this film proves to be its weakest element, as my attention span was already locked into the 4-6 minute format. Still it’s entertaining and typical Roald Dahl weird. I would have liked more from the story as a narrative, and like my counterpart, I agree that the animation wasn’t tops among the other nominees. DEKALB ELEMENTARY: Inspired by an actual 911 call placed during a school shooting incident in Atlanta, Georgia. Aaron – Stunning depiction of a true story. Stripped down of any score or sound editing, the film is completely raw and allows the viewer to feel entirely present. 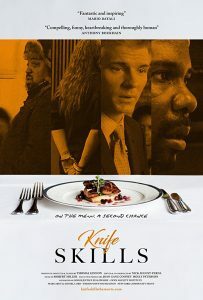 Such a strong emotional connection is developed with its characters, which is so rare for a short film, and despite the horrific nature of the issue it deals with there is a focus on empathy and understanding of mental illness. 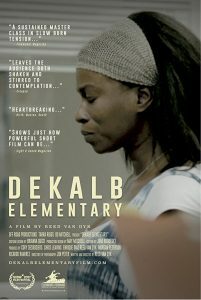 DEKALB ELEMENTARY is a short film with no agenda and no unnecessary exploitation or exaggeration. I am wrecked, but grateful for the moment of exhalation needed to collect myself and reflect on what this must be like for the far too many people school shootings have come to affect. Patrick – Honest and raw are the two words that I think best describe this short. The lack of theatrics like music or sound editing make this feel like an “in the moment” experience. Everything about the situation felt unpredictable, especially the last two minutes. Incredibly powerful. THE ELEVEN O’CLOCK: The delusional patient of a psychiatrist believes he is actually the psychiatrist. As they each attempt to treat each other the session gets out of control. 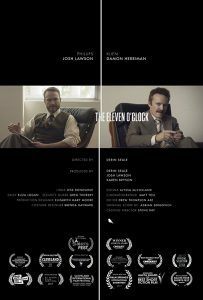 Aaron – When your film is 13 minutes long, set in a single location, and revolves entirely around a mystery, the dialogue has to be perfect; and in THE ELEVEN O’CLOCK it is. This quick little vignette captures the attention and keeps you guessing while bringing a smile to the face from that clever writing. Even if the ending is telegraphed, discovering whether the characters themselves figure out the twist is very satisfying. Patrick – Oh. My. Word. One of the funniest stories I’ve seen in a while. It hearkens back to the days of the Abbot and Costello “Who’s On First?” bit. This is one of those pieces of film where the screenwriting is the star. 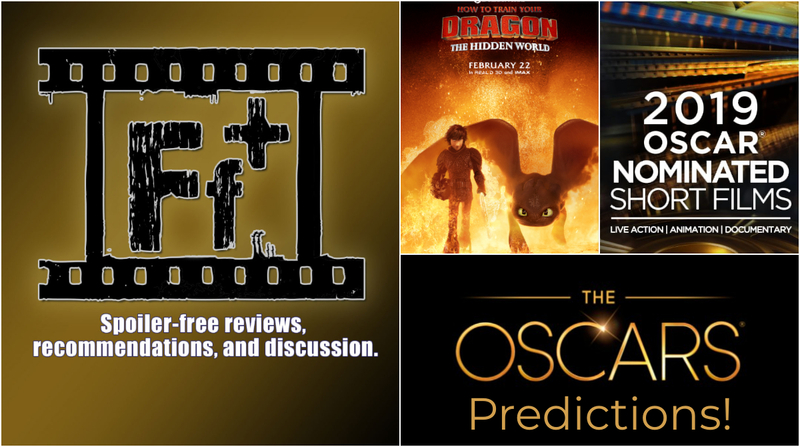 Engaging, entertaining, and worthy to be on this short list. 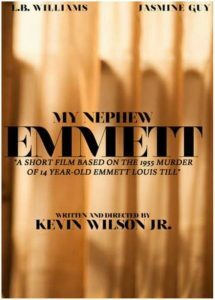 MY NEPHEW EMMETT: At 2:30AM on August 28, 1955 in the most racially divided state in the country, 64 year-old Mose Wright tries to protect his 14 year-old nephew Emmett Till from two racist killers out for blood. Based on the true story of the 1955 murder of Emmett Louis Till. Aaron – Doing “based on a true story” well in short form is tough because there just isn’t much time to get to know characters and inevitably many details have to be left out. L. B. Williams is fantastic capturing the personal terror of violent racism in 1950’s Mississippi as Emmett’s Uncle, Mose Wright, and the film has some gorgeous cinematography despite being overly dark at times inside the house. A solid short that is yet another reminder of our country’s dark history. Patrick – I’m in agreement that short films are challenged with creating rounded characters in their subject matter due to time constraints, and while I had a bit of a rough start with getting into the first half of the film, the second half more than made up for it. It’s incredibly visceral in its portrayal of racial hatred and the tragic reality of where our country claims part of its history is birthed from. 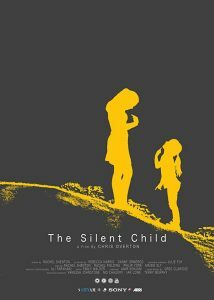 THE SILENT CHILD: The Silent Child centers around a profoundly deaf four year old girl named Libby who is born into a middle class family and lives in a world of silence until a caring social worker teaches her the gift of communication. Aaron – How is one “profoundly” deaf? I don’t think you can be intensely deaf. You either are, or you aren’t. You can be partially deaf, sure, but not profoundly deaf. Anyway, this grammar debate was more interesting and entertaining than THE SILENT CHILD. I’m glad a little girl learned sign language, but this is not enough material even for a short story. Feels kind of like a period piece and is beautifully shot, though, which explains why the Oscars nominated it. Patrick – Edcuational first, entertaining second. That’s what I took away from this short. It got it’s point across but almost to a fault. I was emotionally connected to the characters and the overall story, but by the end it felt like I was watching an advertisement more than a short film. Still, it effectively put together and one that to me is memorable. Plus, British accents FTW. WATU WOTE: ALL OF US: For a decade Kenya has been targeted by terrorist attacks of the Al-Shabaab. An atmosphere of anxiety and mistrust between Muslims and Christians is growing. Until in December 2015, Muslim bus passengers showed that solidarity can prevail. 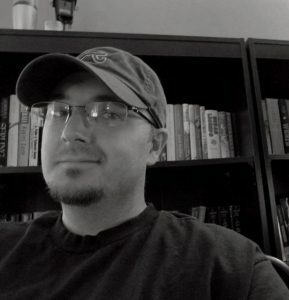 Aaron – A bit slow to get going, it spends too much time with the main character trying to get us connected. It’s weird to say about a short film, but I think it was a little too long. The event itself plays out in an extremely powerful scene where people of conflicting faiths choose acts of love/humanity over religion. 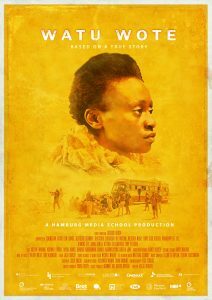 For a student film this is incredibly well made and packs an emotional punch that lingers. Patrick – A great depiction of what it means to value life above beliefs. Having not heard of this incident despite my faith background, I was overwhelmingly surprised at the the beautiful depiction of what it means to look at someone beyond what they represent. 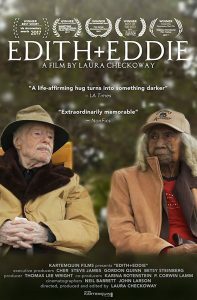 EDITH + EDDIE: Edith and Eddie, ages 96 and 95, are America’s oldest interracial newlyweds. Their love story is disrupted by a family feud that threatens to tear the couple apart. 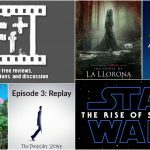 Aaron – I’ve got some pretty mixed feelings on whether or not this documentary should even exist. While it offers us a uniquely personal view into the lives of this adorable couple and the challenges they face having someone with guardianship over them, it also puts a few things on screen that I find tasteless and exploitative. This definitely got me thinking (and angry) about the way in which elderly care is at times managed in America, but it also provided a hopeful look at two people loving each other regardless of age, color, or circumstances. Patrick – Delightful and devastating are the words that I took away from this doc. I found myself adoring the couple and overly frustrated with the depiction of how their relationship was being managed. I’m not sure what message to take away from this was. 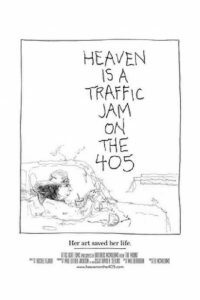 HEAVEN IS A TRAFFIC JAM ON THE 405: Mindy Alper is a tortured and brilliant 56 year old artist who is represented by one of Los Angeles’ top galleries. Acute anxiety, mental disorder and devastating depression have caused her to be committed to mental institutions undergo electro shock therapy and survive a 10 year period without the ability to speak. Her hyper self awareness has allowed her to produce a lifelong body of work that expresses her emotional state with powerful psychological precision. Through interviews, reenactments, the building of an eight and a half foot papier-mache’ bust of her beloved psychiatrist, and examining drawings made from the time she was a child, we learn how she has emerged from darkness and isolation to a life that includes love, trust and support. 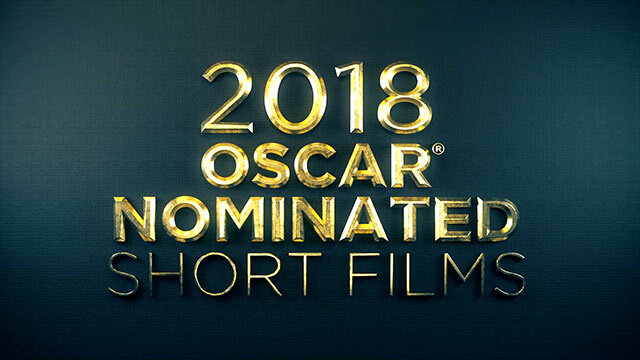 Aaron – Moving and heartfelt story about the effects of mental illness and the struggle many face in overcoming not only illness itself but the social stigma that accompanies it. Alper’s creative output is incredible and her art provides a deeply personal look into her psyche, telling the story of how she has come to beat the illnesses that once defined her. Patrick – Pills. Abuse. I just want to hug Mindy and tell her how much she is loved. I guess this doc did it’s job in making me feel something because my heart broke for her and her circumstances. It hurts knowing all that she has to do to manage being “normal” and why that is the way it is. It’s a tragic story, and one that reminds me more of how much people matter. And her artistry: incredible. HEROIN(E): Three women fight to break the cycle one life at a time. Aaron – “Getting high on heroine is like what it would be for you to kiss Jesus. 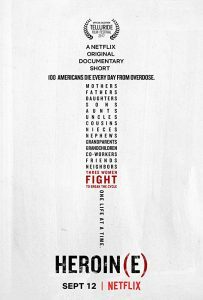 That’s how powerful heroine is.” Set in Huntington, West Virginia, the city with the most opioid overdoses and deaths in the country, this documentary follows a fire chief, a judge and a street missionary as they battle the epidemic in different ways. These three women show heroism in a way not often considered, but that is truly life-changing (and saving) for many of the people they touch. The clever title and poster of this film are also the best of this group. Patrick – I can’t claim to know anything about what drug abuse can do to a person, and I don’t say that with pride. Life can be incredibly brutal, and when something is available as a coping mechanism, it has the power to transform someone into the worst version of themselves. Seeing these three women, in their own unique ways, look at this problem as an opportunity to move people closer to hope is inspiring and necessary. KNIFE SKILLS: What does it take to build a world-class French restaurant? What if the staff is almost entirely men and women just out of prison? What if most have never cooked or served before, and have barely two months to learn their trade? We follow the hectic launch of Edwin’s restaurant in Cleveland. In this improbable setting, with its mouth-watering dishes and its arcane French vocabulary, we discover the challenges of men and women finding their way after their release. We come to know three trainees intimately, as well as the restaurant’s founder, who is himself haunted by his time in jail. These men and women all have something to prove, and all struggle to launch new lives, an endeavor as pressured and perilous as the ambitious restaurant launch of which they are a part. 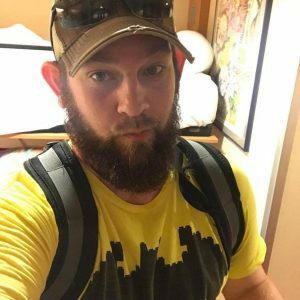 Aaron – I am a sucker for redemption stories, especially when they are true. Brandon Chrostowski’s dedication to providing formerly incarcerated individuals an opportunity to restore purpose in their lives through employing them at a fine dining restaurant is inspiring. This is raw, real life. Some succeed, others fail. But the program itself is thriving and going strong, offering not just a marketable skill but hope to those often forgotten and written off by society. Patrick – “In every ounce of everybody there’s a little bit of hope, a little bit of belief, and if you can feed that, anything is possible.” This doc was already going to win me over by default seeing as how it centers around cooking. But add the layer of redemption for released convicts, a chance to reset and do something new. That’s inspirational, and needed at a time like this. 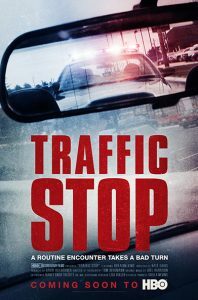 TRAFFIC STOP: Traffic Stop is an HBO Documentary Film currently airing on HBO NOW, HBO GO and HBO On Demand that tells the story of Breaion King, a 26-year-old African-American school teacher from Austin, Texas, who was stopped for a routine traffic violation that escalated into a dramatic arrest. Caught on police dashcams, King was pulled from her car by the arresting officer, repeatedly thrown to the ground and handcuffed. En route to jail in a squad car, she engaged in a revealing conversation with her escorting officer about race and law enforcement in America. The documentary juxtaposes dashcam footage with scenes from King’s everyday life, offering a fuller portrait of the woman caught up in this unsettling encounter. Aaron – What sticks out here the most is actually Breaion’s refusal to submit to authority or take any responsibility for her actions. Was the force used on her excessive? Possibly. Since she fights and screams and will not comply it becomes difficult to tell. I don’t doubt that racist behavior happens in the police force, but this was not compelling evidence of it. This felt like a very manipulative documentary that spends only a portion of its 30 minutes showing actual events and the rest trying to make us empathize with Breaion outside of her actions during the arrest. Patrick – It’s difficult to watch the events take place because a lot is happening on both sides, and there is truth in bits and pieces. The message is true, that there is an unfairness and slant towards abuse against people of color. But I also get that this event says more about the abuse of one officer equally as much as it does about it’s bigger message. 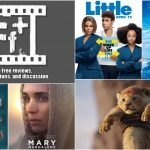 Documentaries, despite what I would like to believe, have a bias to them. Truth is embedded, but it needs to be discerned beyond a half hour story.